Listed below you will find reviews from all sources (web and paper) collected. This information is provided for you, the viewer, to make a better judgment of our organization before ever meeting us. We hope you find these reviews helpful. "Great people with big hearts to help these beautiful creatures Thank you Thank you"
Absolutely amazing how the horses are cared for! I've seen the differences from when some of them first came to The South West Florida Horse Rescue and and where they are at today .. So much healthier and happy!! Wow, I can't believe how much meticulous care goes into the horses and their home conditions. And they are loved on and are sweet and trusting animals. Every aspect of their care is carefully managed. These are really fortunate babies and they know it. But, it takes so much to make it happen. "This place is tidy and well kept! You can tell owners, Tina & Matt, put their hearts and souls into it. The horses are well cared for. I would encourage anyone to go visit and make a donation." Went to visit with intentions to become a volunteer. Heard the history of SWFHR and got to meet the residents. Great place. Can't wait to start. The kindness, care and concern that Tina and Matt show for these rescues is out the top. They, along with their volunteers are totally dedicated. Praying that God will continue to bless them and enrich them in all ways. Tina and Matt care about the horses,miniatures,donkeys they take in. They care for their immediate needs until they find good homes. But sometimes these animals stay for quite sometime at their facility. Funds are needed to continue their great efforts to give wholeheartedly to these abused and homeless critters of God. So please give. This is an organization that deserves everyone's support. Everything accomplished at this facility is for the betterment and placement of loving horses looking for a forever home! Please consider them for your up coming annual charity! A wonderful equine rescue! I am so thankful they are here in our area to take on horses in need. "I personally can't say enough about South West Florida Horse rescue! They are truly a passionate and caring group of people ( every one of them) You instantly feel the love they have for each one of these precious horses the moment you drive onto the property. Friendly and sociable volunteers who will greet you with a smile and answer every question you might have. I have know this Wonderful group of people for a few years and have developed a close friendship with our common love of Rescue. My daughter has a horse and each time she would trail ride, she would ask me to go with her. So me, not having a horse, would walk behind her..lol Silly I know. Well after a few times of "following her" , I prayed That if it was meant to be, that God would bring the right horse into our lives. Since It was for me . it had to be a easy going, sweet horse... Well, GOD had a plan.....A few weeks later , The Rescue took in a beautiful Mare by the name of "Winnie" . I saw her picture posted on their Facebook Page and had to inquire on her. I contacted Tina who suggested for me to come meet her. That very next day I was at the rescue. She was totally Beautiful and had such a sweet personality. Needless to say that's where her story began as a new member of our family. xox Winnie had some minor issues with her feet and previously had a cancerous tumor removed from her face. So I was prepared to learn everything i could about her treatment to get her to where she was physically back to that perfect horse. Matt & Tina taught me how to do everything so I would be familiar with her care. In fact when they realized her feet need some attention they had x-rays taken, which I was invited be apart of. Was able to ask the vet any question I had about her treatment and know what to expect. . Prior to adoption, I was able to go out to the rescue as much as I wanted, to spend time with Winnie and start the bonding process . Tina was always just a text away.. Now Winnie Has a Sister by the name of Goldie and they are truly the bonded pair. It's so nice to see the Happy Every After for this Girl! Whats unique with this Rescue is that we weren't just adding Winnie to our family, but also becoming part of the South West Florida Family!! xoxoxox"
Wonderful cause with truly devoted caring people! "Thanks to the Southwest Florida Horse Rescue, Tina and Matt, I was able to find my new best friend. When I first heard of the rescue, Tina, Matt, and all the volunteers there were extremely generous and helpful. I immediately fell in love with one of the baby minis they recently rescued. Braveheart was 1 of the 11 minis that were in need of help, in which, Tina and Matt took them under their wings. Braveheart was about 11 months old colt and still nursing on his mom. SWFHR rescued Braveheart and his mom first, then went back for the others. When Tina showed my mom and I around and introduced us to all the horses we instantly fell in love with Baby Braveheart. Before adoption we had to geld Braveheart, since he hasn't dropped, the SWFHR raised enough money to get Braveheart the best possible help he could get. Matt and Tina was by his side during his whole recovery. When it was time for Braveheart to come home Matt walked the property to make sure it was definitely a safe place for the pony. He didn't leave until both Braveheart and I were comfortable. Whenever I have any questions they are there immediately to help. But thats not all, after working with the horse rescue for a few months now they have showed me the true meaning of "who rescued who". Without them I would still have a missing piece in my heart. I am truly thankful for the above and beyond love and care that the SWFHR gives to be able to find my perfect match, Mr. Braveheart." "I was given Tina Garrett's name by a very close friend who knew I was in a desperate situation. My rescue Thoroughbred, Stetson, has been in danger on the island we live on. From the moment I spoke to Tina I knew we were in good hands and she inspired me so much I got on a plane the next day to go visit her, Matt and their team!!! Is it crazy to say it was "love at first site"? They were quite eager to find out what I was all about as I jumped out of my rent a car in sparkly heels!!! We soon became quick friends and I truly can say I can trust them with my rescues life! I spent two days going to the Rescue and they spent as much time as I needed showing me around and letting me ask question after question! Getting Stetson off an island and doing an International Transfer has not been easy to say the least and the most stressful adventure I have ever done. Tina has stood by my side and said "pull up those boot straps girl...we have a horse to save!!!!!!" The kindness and genuine support, love of their rescues is far above and beyond what one could hope for when leaving my heart behind in someone else's hands. We are still on our journey and about half way there! The Team will be picking Stetson and I up in Miami! Driving us to his new home, to just be a horse and allowing me to spend all the time I wish with our miracle boy! He was 600 pounds when I rescued him at 16.5 hands and now he is 1400 pounds. He is 800 pounds to the healthier and the smartest boy out there. With their help, Stetson has been awarded a new start to Life. A life every Horse should be allowed to have:) He has made me a better person and now with Tina's help he is going to help so very many more! Support this great team!!! Support their rescues!! THEY ARE WORTH IT!!! They truly are THE REAL DEAL!!! Dr. Nicolle Schultze"
This is an excellent well-run rescue with people who really care about the animals they provide for. It is refreshing to see a rescue run with such great care and attention to detail!! We recently attended a clinic here and all the staff were so great to work with and very helpful. The facility is beautiful. They have built an awesome arena and round pen with great footing to work in! I want to thank Matt and Tina for their time and introducing me to my lady "Fancy". I am so excited to have her come home and start a new life with me. "This is a fantastic rescue. They have their heads on straight and make sure each equine is provided for above and beyond. They are welcoming and supportive." "My saddle sister and I went to the South West Florida Horse Rescue, Inc to go to a Mark Rashid, Considering The Horse Clinic which we go to every year in Florida. We found out that there would be one very close to our home so we decided to try out a new place. We did not know what to expect and actually did not expect too much at all, just in case it was not that great of a place. The women first of all where on the ball and communicated beautifully and helped with anything they could to accommodate before we even arrived. When we did we were extremely happy to see such a beautifully well kept, clean and happy environment for the horses!. The first thing out of the Manager Darcy's mouth was let's get your horses happy first then we will get you girls going. Well that did it right there, BOOM! Let's take care of the horses first!! From then on it was stellar!! The President Tina Garret was in the background taking care of everything, she is a work horse! Eileen Coe, coordinated all the riders and made everything go as smooth as silk, incredibly kind! The property had plenty of room for all the horses and guess what, their horses at the facility were HAPPY!!! You usually do not see that at a rescue around here. They had so many volunteers helping and they were so friendly! I will recommend this Rescue to anyone and everyone! We will be back next next and found a new home at South West Florida Horse Rescue!! Do not be hesitant to help with this team in anyway!" "Bella was one of the first to be rescued. When my husband and I saw her picture that was sent to me we knew we must get her and care for her and give her a forever home. When I brought her home she was so unhappy and sad, but you could see in her eyes that all she wanted was to be loved and fed some food. We have had her since the very first day and we love her and she gives us back more love than we could ever imagine. She is still very shy of people but she trusts only the ones that give her a carrot...she loves treats. The reason we love Bella is because when I look in her eyes, I see hope, dreams and the wonder of love. When I touch Bella, I feel joy and serenity, When she walks beside me, we connect with our souls. When I am with Bella, I am who I am meant to be...There is a saying "who rescued who?" I ask that everyday when I look in Bella 's eyes and we both say thank you to each other." "Matt and Tina are two of the most amazing people I have ever met in my life! The love they have for these horses is so great and they will do anything to help them. I love going out to volunteer whenever I can! Such a great place and a great cause! Love South West Florida Horse Rescue inc!" "I have fostered multiple horses over the past 4 years and have also adopted. I can't say enough about the owners who put these horses before themselves on a daily basis." 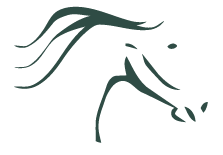 "I have followed this organization since first learning of it, and could not be more impressed with their true caring and help for local horses in need. They have a large volunteer base with wonderfully dedicated people who help with everything from grooming to fund raisers. I have seen before and after pictures of horses they have helped and their knowledge and persistence are exceptional. They are very careful to make sure that any horse adopted from their facility is a true match and forever home. I could not recommend becoming involved with this worthwhile organization any more highly. Matt and Tina are the very best of the best!" "I have volunteered for SWFHR for a little over 2 years now. It's kinda of a family affair. My husband and I are usually the ones organizing the food for events and my mom helps out where ever she is needed. Tina and Matt give everything they have to provide for the equines that are in their care and for that we are more than willing to help in any way that we can. SWFHR is truly made up of great people, amazing horses, and a couple cute donkeys! I would recommend that if you ever have time that you stop by and check them out!" "SWFHR is a very special place. Tina Garrett and Matt Venaleck had a dream to create a safe haven for neglected, abused, and abandoned horses and donkeys. With no paid employees and all volunteers that dream is coming true. From the first day my husband and I visited the rescue we knew we had found an endeavor we wanted to be a part of. We have seen horses come through the gates sick, starving, frightened and hopeless. Under the loving care of all at the rescue they begin to get better and hope returns to their eyes. We are proud and grateful to be a part of SWFHR." Want to have your words seen?